2 Bid-Ninja! – That’s effectively the entire second step. Alright, we’re being a little cheeky here but we’re not saying this for no reason. How are you supposed to know when you should begin bidding? 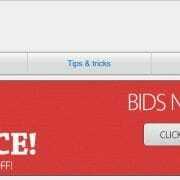 How about when you should never bid before? How would you know when the other bidders on the site typically call it quits on an auction or if they just so happen to be bidding on a type of auction that they win more than 50% of the time (indicating that this is obviously a favorite type of auction for them)? The answer to all of these questions is of course by having Bid-Ninja. There is no DealDash power bidder that isn’t using Bid-Ninja. 3 You’ve got to have a strategy. Whether that strategy is a simple one or a complex multi-layered onion of a strategy, it doesn’t matter (well, it matters a bit), but the point remains the same. Walking into an auction and randomly throwing a few bids around isn’t going to get you very far. If you’ve got a strategy in place, you’ll be more vigilant with when & how you bid. That’s the most important part of having the strategy in the first place…so you’ve got something to stick to and so that you know you aren’t bidding emotionally or because of ego! Anyway, we just wanted to let you know that if you’re a bidder on DealDash and you want to get yourself what are effectively free bids at the current promotional price then head over before the sale ends. We don’t know when it will end (for all we know it ended in the time it took us to write this blog post up) so you better hurry. 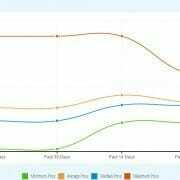 There are a lot of new people looking for a review of DealDash as they are on the upswing with a ton of growth and new users arriving daily. The public penny auction stats Bid-Ninja shows for DealDash (along with the other biggest names in penny auctions) has seen a tremendous amount of new incoming data. Our leaderboard is constantly changing and there are so many auctions with new names showing as the winner. Compare this to QuiBids where it seems that there are just a handful of the same winners lately and the choice of where to spend your money on bids is clear. With this huge influx of bidders and new interest, a lot of people are looking for a review of DealDash because they want to be sure that it’s not a scam and/or if they’ll actually be able to win some of the auctions for the low prices they see in the advertisements for DealDash like the one below. We here at Bid-Ninja pride ourselves on being able to help the penny auction players of the world win more auctions by bringing the best information to them (and we’ve been doing so for years). 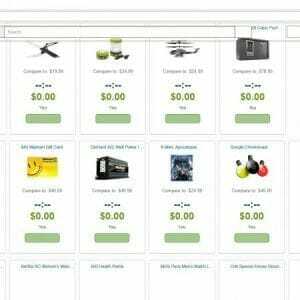 There is no site or person out there with more data on penny auctions than us, and we can tell you unequivocally that DealDash is one of the very best sites to play on and you really can win auctions for name brand goods & electronics for pennies on the dollar…but don’t expect it to happen every time and without a little practice. While playing on DealDash is fun and exciting (as it should be), you have to be prepared to lose some auctions…but that’s part of the fun too! Don’t let a loss make you think you can’t win or that it’s some kind of elaborate setup. A lot of people make the mistake of placing one or two bids on one auction, don’t win and then instead of sticking it out on that auction bounce over to another auction, place one or two bids without winning and then once again run off to another…and continue to repeat this cycle. This is effectively giving away your bids. To win on DealDash or any of the other penny auction sites, you’ll need to stick it out for the long haul. Part of winning means showing your opponents that you’re not going to give up! We see this constantly…people arrive at DealDash, buy the smallest available bid pack, pick an auction and bid their heart out and lose…then quit DealDash and penny auction playing altogether. If that’s all your budget allows for doing, then it’s probably best to keep on moving. Winning is a numbers game and you’ll absolutely have to play on multiple auctions to not only get the hang of it, but to win an auction. Losing one single auction and then quitting altogether doesn’t make DealDash or any other site a scam, you simply didn’t play enough! 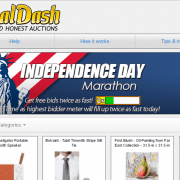 So yes, our “review” of DealDash is really simple…they are one of the top notch penny auction sites to play on. 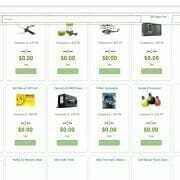 They have a huge selection, a very loyal following of users, great customer service, fast delivery and so on. There isn’t really anything negative we have to say about them. Most of the “bad reviews” you’ll find for DealDash have to do with users who were making one of the mistakes in our list above. Bid-Ninja wouldn’t have all of the data we do for them if there weren’t thousands of very happy customers winning great merchandise for low prices every single day. 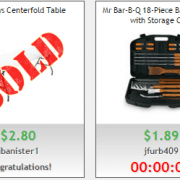 DealDash Statistics Available Free – Formulate the Best Strategy with Free Stats! That’s right, now you can search our DealDash statistics database for usernames, auction ID’s or even products you’re interested in bidding on so you’re armed with the information you need to slice through your competition. That means there are now “onsite website statistics” for 3 of the available 4 sites that Bid-Ninja supports. View the homepage of the (now) QuiBids, MadBid & DealDash statistics here. https://www.bid-ninja.com/wp-content/uploads/2014/12/trending.jpg 501 1013 Bid-Ninja https://bid-ninja.com/wp-content/uploads/2017/08/bn_logo300x50-300x50.png Bid-Ninja2015-08-26 18:25:402015-08-26 18:27:07DealDash Statistics Available Free - Formulate the Best Strategy with Free Stats!